I have long wanted to write a bilingual book that would allow me to engage more deeply with Latin American collaborators and audiences. 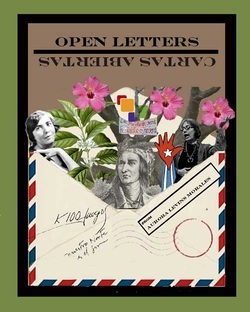 Cartas Abiertas/Open Letters is a collection of essays, some written in English, some in Spanish. While it's easy for me to translate my Spanish in English, I am still looking for help translating my very poetic English into Spanish, which will require both a very good match and funding. In the meantime, you can read two essays from the collection, "Muna Lee" in English, and "Testimonio de una colaboración" in Spanish.